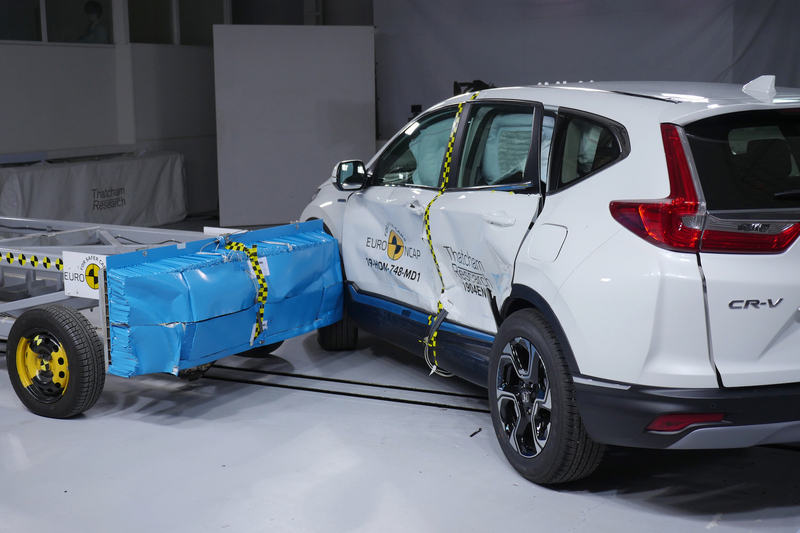 Euro NCAP has released safety ratings of three large off-roaders: the Honda CR-V and the Mercedes-Benz G-Class and the Seat Tarraco. All three cars got a maximum five-star rating against Euro NCAP’s tough 2019 requirements. The new Seat Tarraco shares Volkswagen’s MQB platform with the Škoda Kodiaq, rated as five-stars by Euro NCAP in 2017. Against the more stringent protocols of 2019, the Tarraco’s five-star rating is even more impressive and its score of 97 percent in adult occupant protection is amongst the best achieved by a car in this category. Mercedes-Benz’s rugged G-Class also comes in with a five-star rating with an impressive performance in each of the four areas of assessment.